Recently, my friend Sarah asked me out to lunch. She suggested meeting at Lillian's on Forest Drive. I was so delighted...a restaurant that I haven't been to! In fact, I don't think I've ever even heard of it. But that just made it all the more exciting. 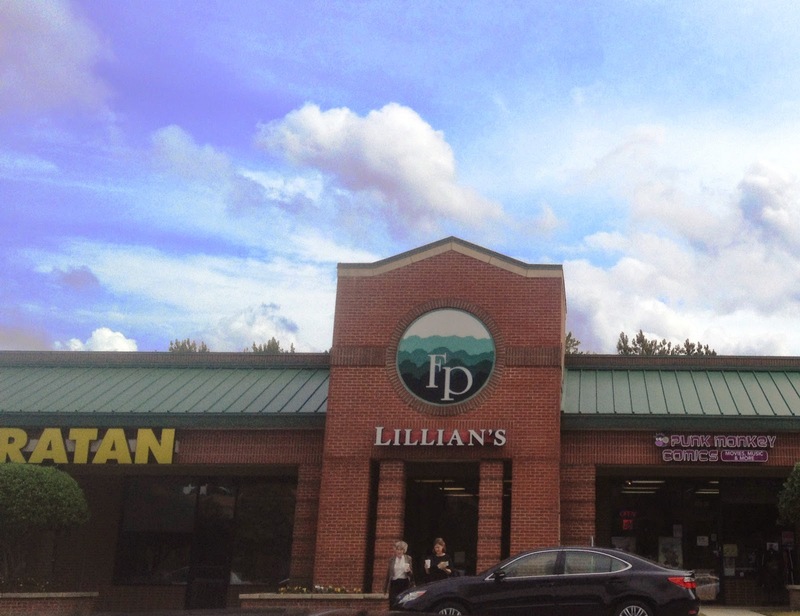 Lillian's is located in a strip mall in Forest Acres. Like a lot of restaurants in strip malls, it's easy to overlook if you don't realize it's there. Lillian's features fresh sandwiches and salads. I was impressed by the number of vegetarian selections they offer. I am a major carnivore but have lots of veggie friends, so I notice stuff like that. They prepare your order fresh, so it may take a little while, but I wouldn't call it slow. The decor is a bit sparse, but it's bright and open. 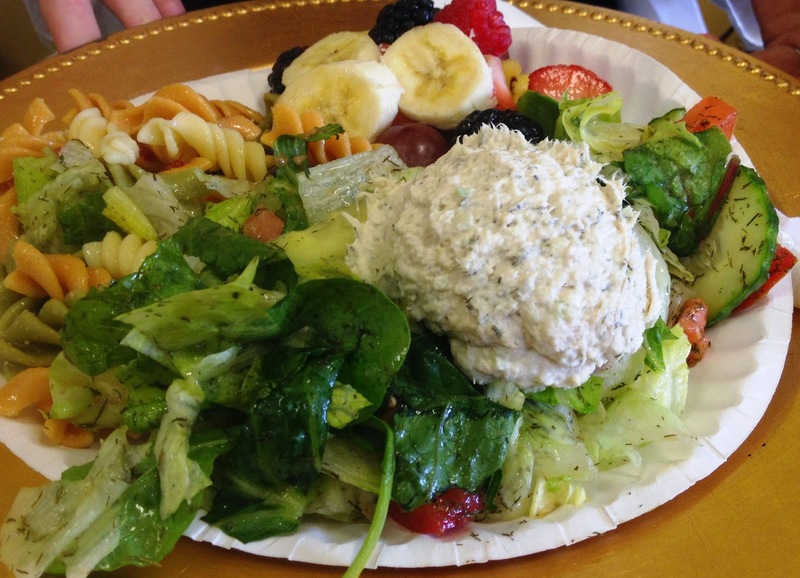 Sarah ordered the chicken salad plate which consisted of a scoop of chicken salad with pasta salad and a beautiful fruit salad. The chicken salad seems to be one of their claims to fame, if you read the reviews out there. I'll have to try it next time. 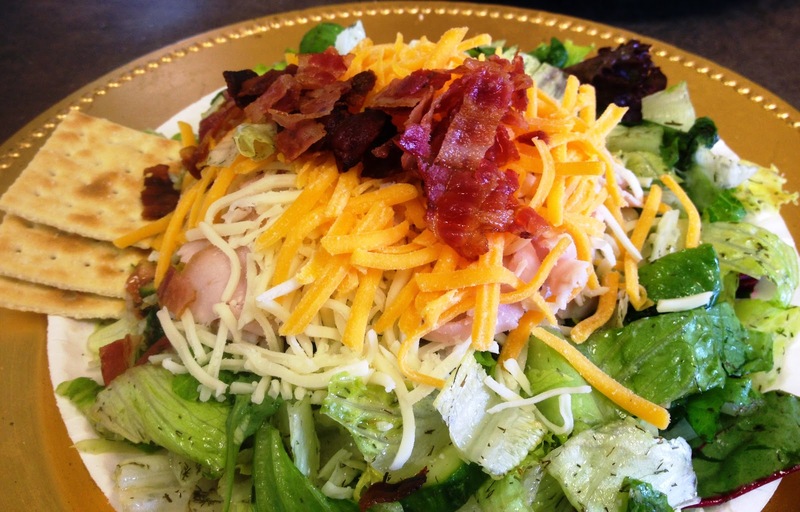 I chose the chef's salad which was a large salad with turkey, bacon, cheddar and a light herbal dressing. I liked the dressing very much. It was subtle yet very flavorful; a nice change from the usual thick dressing that most serve with this type of salad (1000, blue cheese, ranch). I also noticed that Lillian's has a cooler filled with "take and bake" dishes. This is great to know for those hectic evenings when you are just running out of time to cook. Or, when you need to take food to a sick friend, this is a quick easy way to grab and go. Lillian's in at 4711 Forest Drive, in the Bi-Lo shopping center. Next time you and a friend have lunch scheduled, try Lillian's. It's fresh and light; perfect for that lunch date. Bon appetit! So, my petit gourmand is in 3rd grade now. She's got a really great teacher who I hear nothing but good things about...from Viv as well as other kids we know who have already had her. That's a good sign because kids will take any opportunity to tell you how much or what they didn't like about a teacher, but they all love this lady. The class is studying altruism right now. An assignment came home to go along with this unit. The kids are to come up with some sort of altruistic deed that they will carry out. Then, they have to write a descriptive paragraph about their project, how it affected the people they helped, how it affected themselves. This is awesome and it's only 3rd grade. My daughter heard at church that our Youth group is always asking for lunch to be donated since they meet immediately following the 11:00 service. They don't have much of a budget for lunches. So Vivian decided she wanted to make lunch for them. The plan was for me to act merely as her assistant and she would cook, assemble and cook a lasagna all by herself. I took the job. I really just stood back and gave instructions and some occasional advice. I posed the question "Ground beef or Italian sausage?" I was really curious to see how her thought process would work here. She considered it and decided the sausage would have a "richer" flavor. So we made a special trip to Publix to get ground Italian sausage. I think she made the right call! The onions started getting to her; thus the "onion goggles"
I'm here to tell you, as the proud mama I tend to be, my sweet child did this project all on her own. She chopped onions and then added them to the skillet as she browned her sausage. She mixed Romano, cottage cheese, mozzarella, eggs and fresh parsley from our garden. She assembled the lasagna and had it all ready for the oven on Saturday evening. Sunday morning, we baked it partially then packed it in an insulated container before heading off to church. Upstairs in the youth room, she finished baking the lasagna then she assembled a Caesar salad, making sure to finely grate fresh Parmesan. As the youth group arrived, they all commented about how good it smelled...they were right. As I helped bring it all to the table, it was pretty evident to me that these teenagers were impressed by what they saw. Viv had made a beautiful lasagna and salad. I'm not sure what they were expecting, but I know they were pleasantly surprised. They invited us to stay and eat with them which was extra cool that the teenagers wanted their chef to also be their guest. Many, many compliments later, we had a super easy clean-up because there wasn't a stitch of food leftover! I left there feeling immense pride that she took on this project and she carried it out so successfully. She's pretty modest, but I know her. She was feeling that sweet satisfaction that a job well done brings. I'm so excited about her work that I can't wait for her to turn it in to the teacher! And to the 3rd grade teachers at Rosewood, I thank you for creating such a meaningful project for our kids to experience the beauty of altruism.